Crockpot cheesy potatoes are the best side dish for ham, they make a great side dish for steaks and these are a great hot side dish for grilled meat as well! Be sure to check out other potato side dishes as well! We are big cheesy potato fans at the Sorensen house. Potatoes go with everything, don’t they?! They sure do! 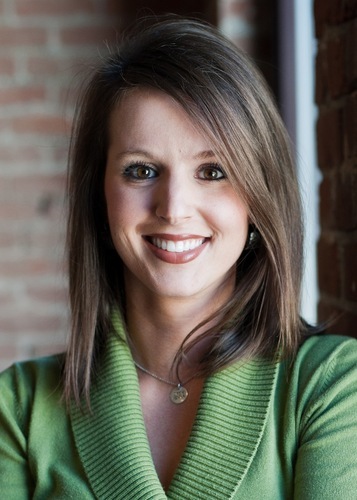 But, when I’m making hot meats that bake in the oven, like a ham or a meatloaf, I don’t always have room for a hashbrown casserole, or potato side dishes like that in the oven, too. And, at time meats have different cooking temperatures and such, so it’s so nice when you can make hot side dishes in the crock pot. 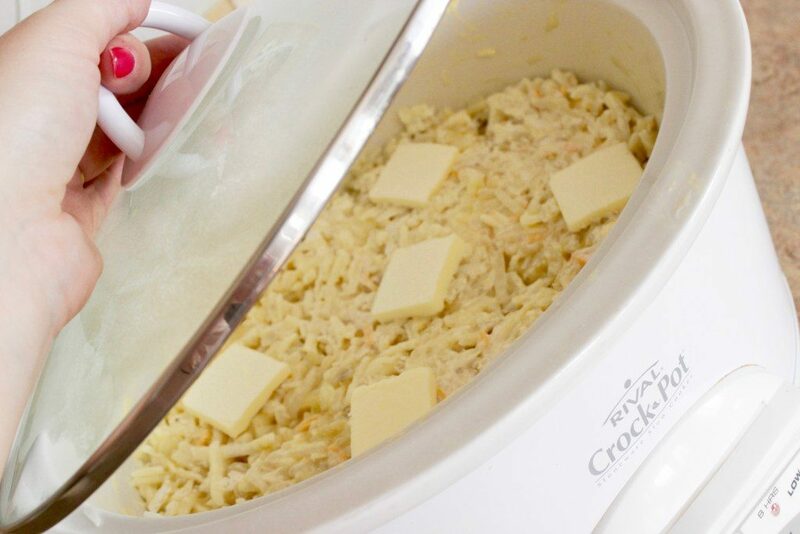 I love these crockpot cheesy potatoes for that reason. I first made them as a potato side dish for ham, but I have made this cheesy potato recipe for steaks, and it’s a perfect potato dish to go with hamburgers as well! The biggest thing to keep in mind when you’re making crockpot potato side dishes is that you have to keep an eye on them because all crock pots and slow cookers cook differently, and some even have hot spots that might make your potatoes a little browned in spots. But, atleast you’ll have extra room in the oven if you’re using your crockpot, right?! 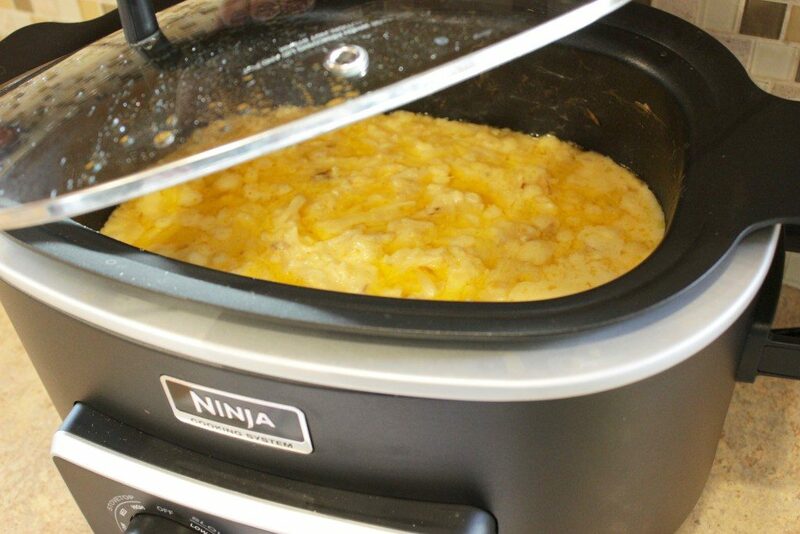 When I make this crock pot cheesy potato recipe 99% of the time I’ll use my Ninja Slow Cooker. It’s my absolute favorite slow cooker (and it’s even on sale right now here!) . Another reason I love to make these potatoes in the crock pot is that it’s pretty much a dump and go side dish. So easy in fact that everything goes in the slow cooker together, is stirred, the lid goes on and besides checking in on it every once in awhile, it’ll pretty much do its own thing. Gotta love that! 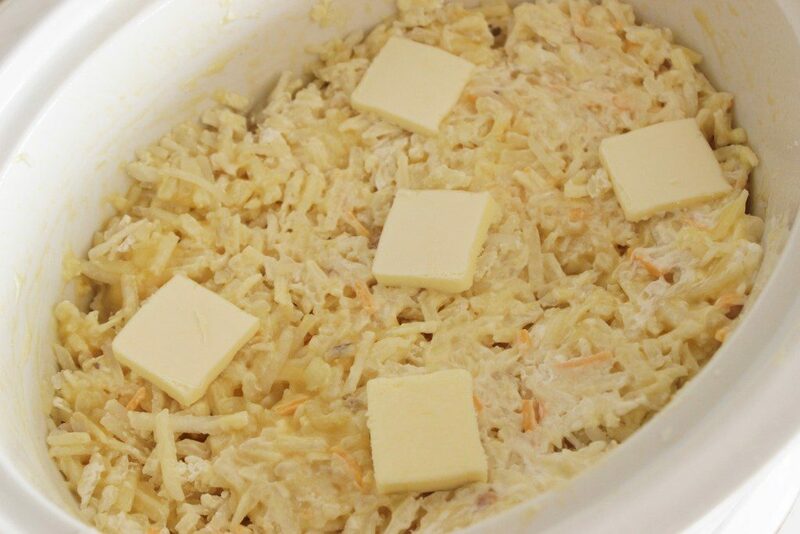 Right inside your crock pot, combine your thawed frozen potatoes (I know that’s a bit of an oxymoron, but it’s a bag of frozen hashbrowns, thawed in the refrigerator for 2- 6 hours), diced onions, sour cream, 1 cup of cheese and cream of chicken soup and stir. You can also add 1 cup of milk (I left this out in the video I made, but I prefer it in – it’s totally a personal preference.) The photo at the top of this pot in the Ninja Crock Pot has milk. The photos in the white crock pot do not have milk, if that helps you gauge what it will look like when finished. If you watched the video and see the picture below, you’ll also see that I lay pads of butter on top of the hashbrown mixture. After making this time and time again, I prefer to melt the butter and then mix it in with the potato mixture rather than putting it on top of the dish. This is a classic example of “do as I say, and not what I do”. Ha! 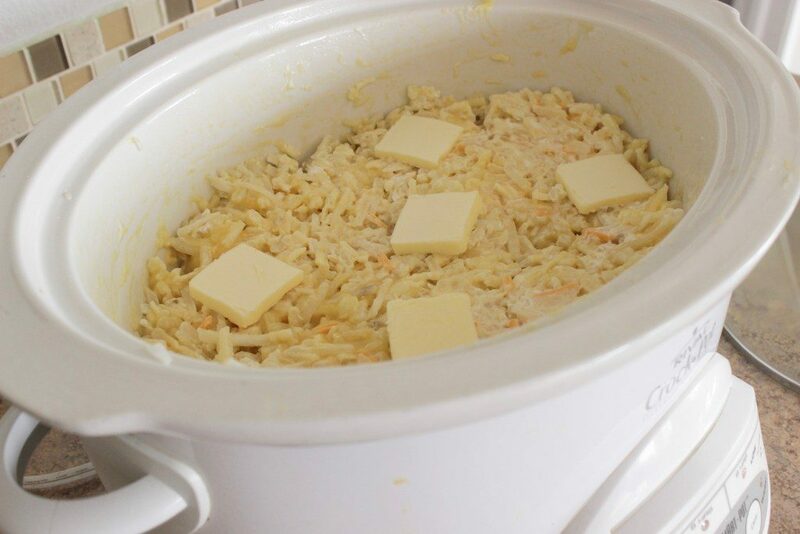 You’re going to let this concoction cook on high for 2 hours in the crock pot to turn into the cheesy potato goodness that you’re missing as a side dish for grilled meats, or the perfect side dish for Easter ham. Pure amazingness, I tell ya! When it’s done cooking, simply sprinkle with remaining 1/2 cup of cheese until that’s melted and enjoy. OK, that’s really it. 😀 I seriously can’t even act like this crockpot potato casserole is a tough side dish because it’s not. It’s painfully easy. I do want to point out that I have had several readers say that their potato recipe calls for only one can of cream of chicken soup, or cream of mushroom, or, or, or …. BUT I do have to admit that I think what makes these so very good is the second can of cream of chicken. It’s just what sets it over the top. Also, you can make your own cream of chicken soup rather than using the Campbell’s cream of soups. I like Campbell’s and choose to use theirs, but to each their own. I think this hot potato dish is perfect this way. If you’re on the hunt for crockpot potato recipes, this is by far my number one choice. I hope you enjoy it as much as we do! These crockpot Cheesy Potatoes are a great side dish for ham, a perfect side dish for steaks and a great hot side dish for grilled meat as well!